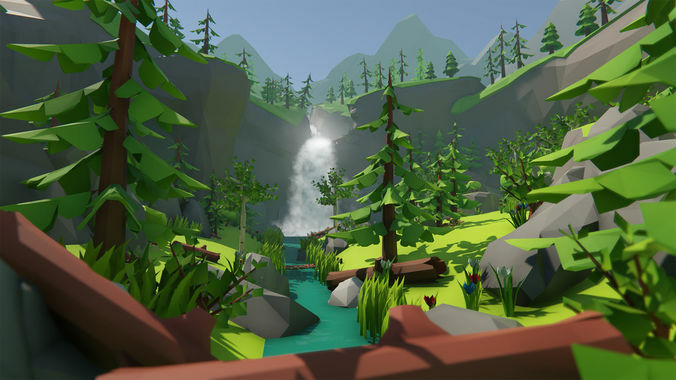 The unity demo level has three different areas: the hidden forest with waterfall and lake, the cave and the ravine at the top. All screenshots are taken from our level in unity in realtime. Performance: Everything shares one material and one texture, so everything can be batched together to save draw calls in game engines. That applies also to all our other Lowpoly packs - you can mix them!